Ethan Watkinson, 22, of Kingsley Court, Worksop. Failed to comply with the requirements of a curfew requirement by interfering with his electronic monitoring. Ordered to pay court costs of £75. Marcin Czeszczewik, 34, of Retford Road, Worksop. Failed to comply with the requirements of a community order by not providing evidence to support his absence from unpaid work. Order made with 120 hours of unpaid work and rehabilitation activity requirement. Must also pay court costs of £75. Dawid Kiam, 29, of Watson Road, Worksop. 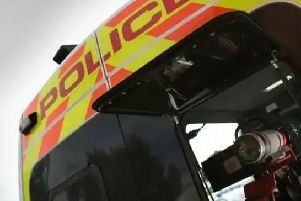 Drove a Ford Focus on Retford Road, Ranby after consuming so much alcohol that the proportion of it in his breath, namely 59 microgrammes of alcohol in 100 millilitres of breath, exceeded the prescribed limit. The legal limit is 35 microgrammes. Banned from driving for 16 months. Fined £250. Also ordered to pay £85 in court costs and a victim surcharge of £30. Maciej Skalski, 26, of Carolgate, Retford. Found guilty of assault. Jailed for eight weeks suspended for 12 months- offence so serious due to previous record and the fact children were present during the incident. Must also pay £200 in court costs and £50 in compensation. Kasparas Buzinskas, 27, of Rampton Hospital Retford. Assaulted two males by beating them. The offence was against officers in employment without provocation. Also ordered to pay £220 in compensation and £620 court costs. Curtis Smith, 25, of Avocet Grove, Gateford. Assaulted a male. Community order made with exclusion requirement- banned from the Roman’s Rest pub at Celtic Point for 12 months. Must complete a rehabilitation activity requirement. Also ordered to pay compensation of £200, court costs of £85 and an £85 victim surcharge. Keith Coward, 33, of Potter Street, Worksop. Stole batteries and washing powder, of a value unknown, belonging to Wilkinson’s. Community order made with rehabilitation activity requirement. Must also pay £10 in compensation.